There were a few important reports on the U.S. economy released this morning. First, consumer confidence cooled in November, according to new data from The Conference Board. Specifically, the headline sentiment index fell from 137.9 to 135.7 this month, a larger decline than anticipated but still one of the highest readings of the past two decades. Surveyed Americans’ assessment of current conditions actually improved in November, while all the weakness was concentrated in respondents’ outlook on the future. This is likely a reflection of general confidence in the economy being offset by rising concerns about trade policy, inflation, and interest rates. Further, the strong labor market remains a major factor behind consumer optimism, with relatively high percentages of surveyed Americans still reporting that they expect better job availability and compensation in the months ahead. 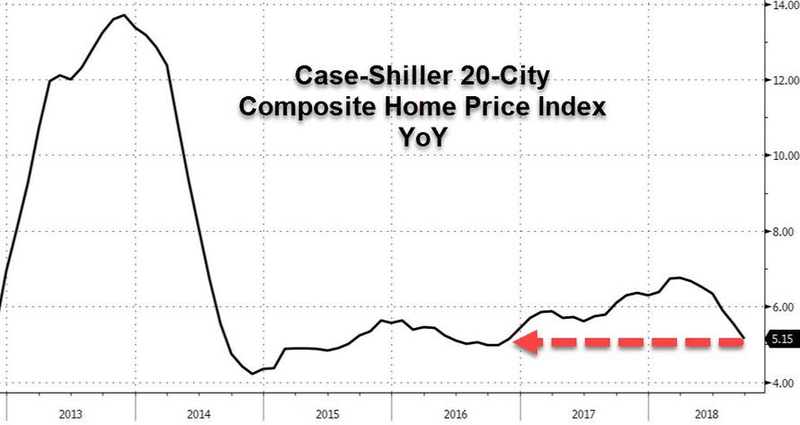 Elsewhere, a report from Case-Shiller showed that home prices in America are growing at an average annual rate of 5.1 percent, the slowest reading since November 2016. 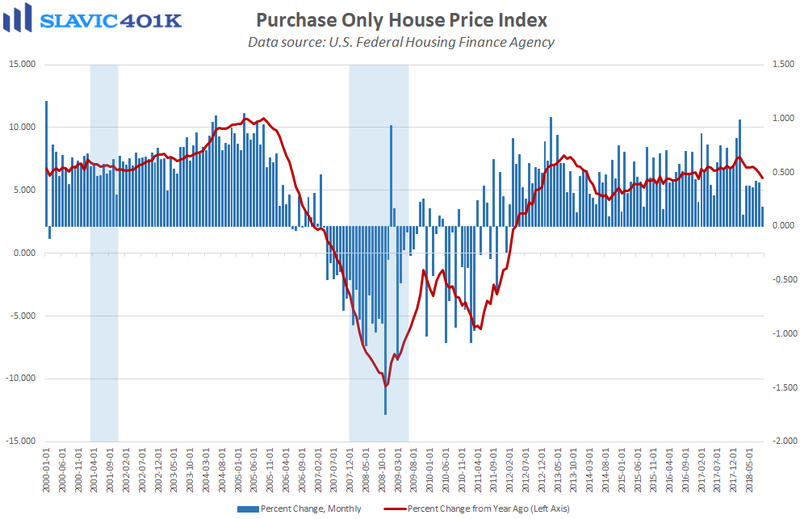 Similarly, the Federal Housing Finance Agency’s national home price index (HPI) rose by 0.18 percent in September (lagged release), the smallest gain since March and weak enough to pull the year-over-year pace of growth down to just 5.96 percent, a 20-month low. 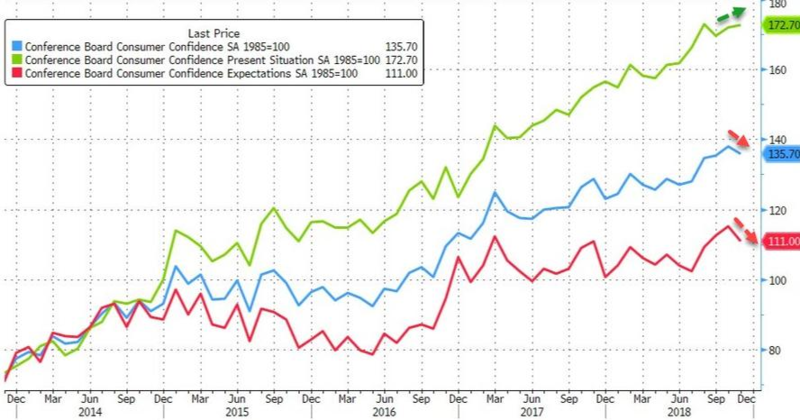 The broad slowdown in price appreciation is not too surprising following the above-trend growth seen during the past few years and latest uptick in supply. 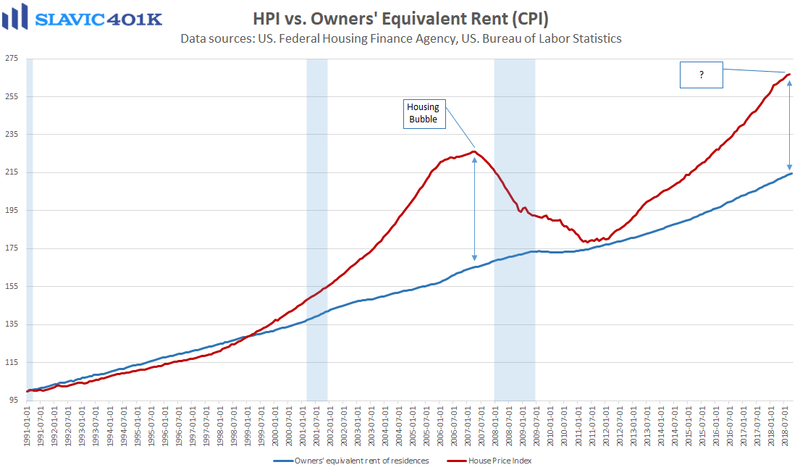 The moderation in housing inflation has the potential to help boost sales, especially in the lower-end of the market where many would-be buyers have seen prices rise faster that wages for several years. The recent spike in mortgage rates, though, could offset this improvement in affordability for some prospective buyers, while motivate others to make a purchase now before borrowing costs rise even more.